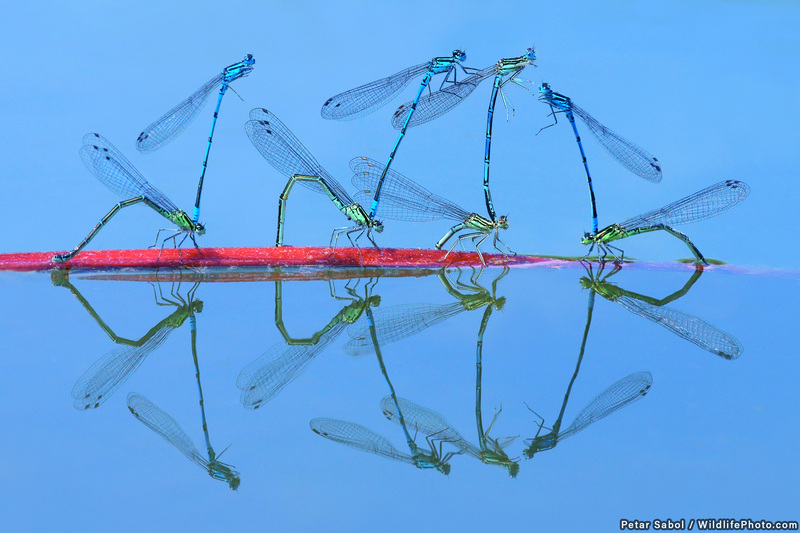 The results from our 2016 Animal Behaviour photo contest. I captured this image during the migration of the sardines along the wild coast of South Africa. 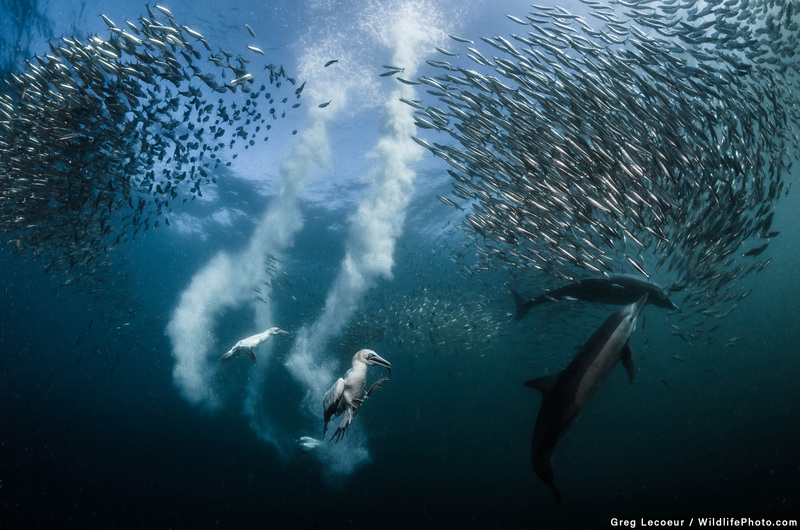 Natural predation, sardines are preyed upon by cape gannet birds and common dolphins. The hunt begins with common dolphins that have developed special hunting techniques. With remarkable eyesight, the gannets follow the dolphins before diving in a free fall from 30 to 40 meters high, piercing the surface of the water head first at a speed of 80km/h to get their fill of sardines. 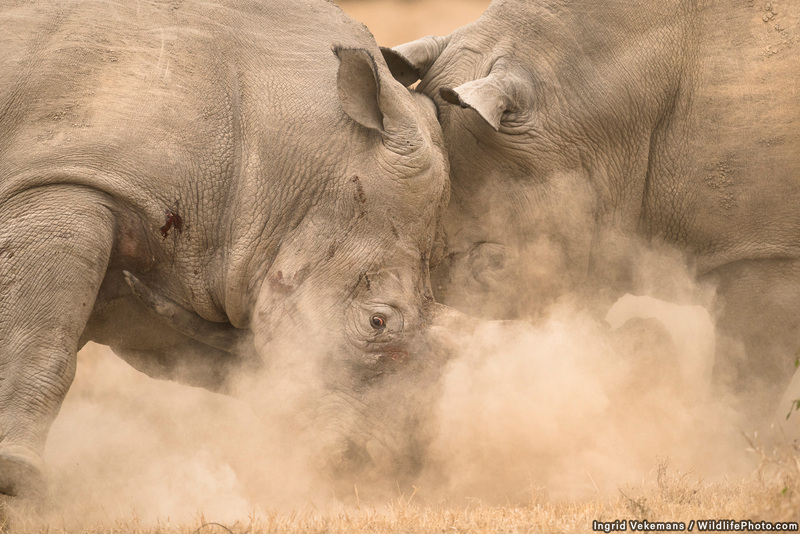 Driving around Solio Game Reserve in Kenya, we spotted these two rhinos who at first just seemed to be looking at each other. All of a sudden the one with the long horn charged. 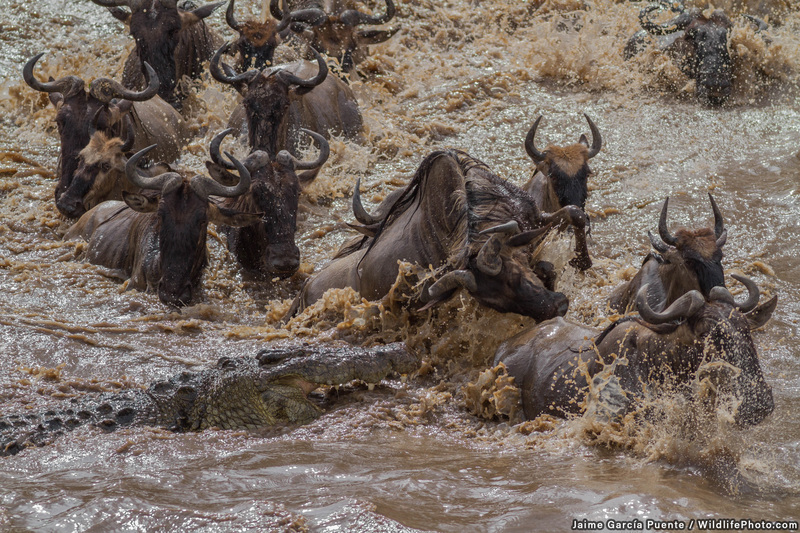 I realized I was witnessing something unique from so close by and wanted to take advantage of the closeness by bringing the action very close so grabbed the 500mm lens. This way I wanted to emphasize action, blood, dust and fury. 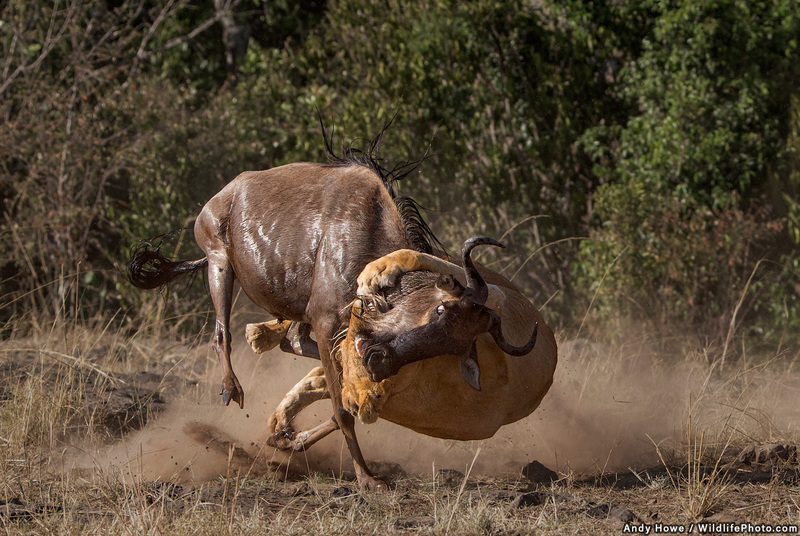 A lionesses taking down a wildebeest. 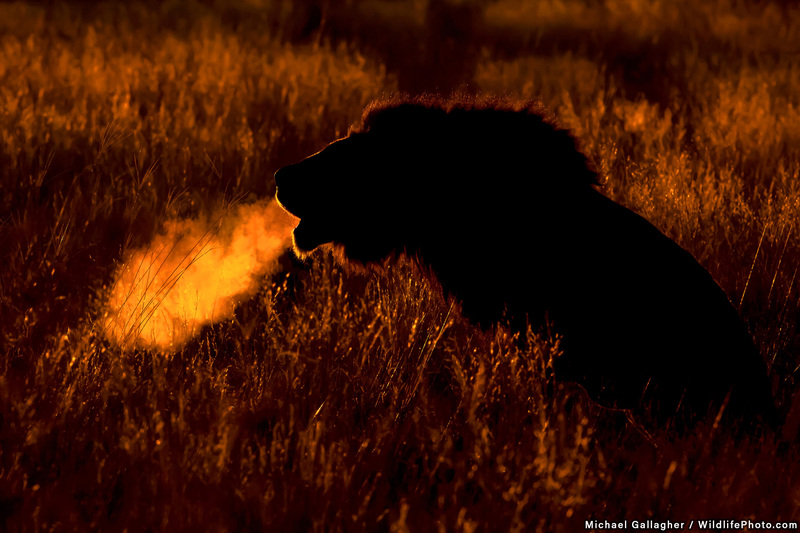 A male lion roars in the chilly dawn in the Kalahari. 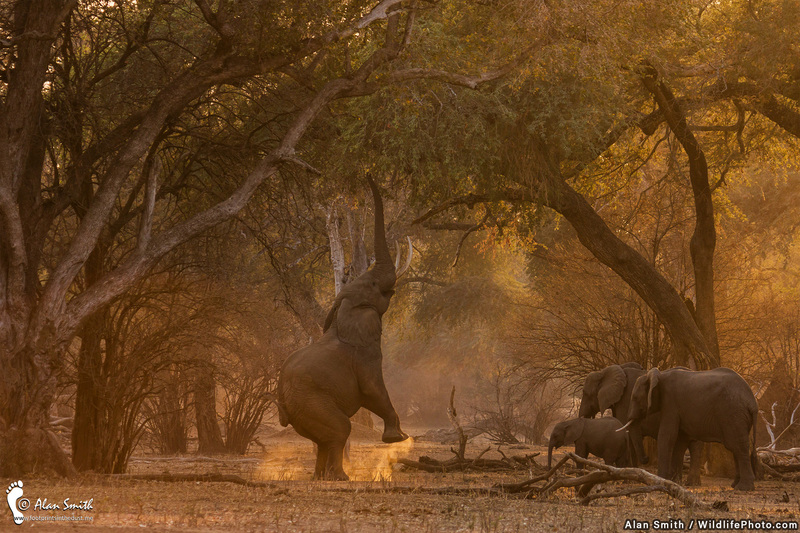 Taken in Mana Pools National Park, Zimbabwe. This is one of two bull elephants in the park that are known to stand on their back legs in order to reach branches that are beyond the reach of others. This one is called Fred by the rangers, after Fred Astaire, because of the little dance that he does before standing up. He is generous and shares the branches that he pulls down with other elephants which his why he has an audience. We followed him for several days, trying to get the best possible shots in the best possible light. I especially wanted to capture the trail of dust that came off his feet when he rose up. This image was taken shortly after sunrise, when the light was still golden, and was deliberately underexposed in order to deepen the colours. The sun was just high enough to backlight the dust, giving the effect that I was after. I deliberately kept the shot wide so that I could show the cathedral-like structure of the trees in the Mana forest. 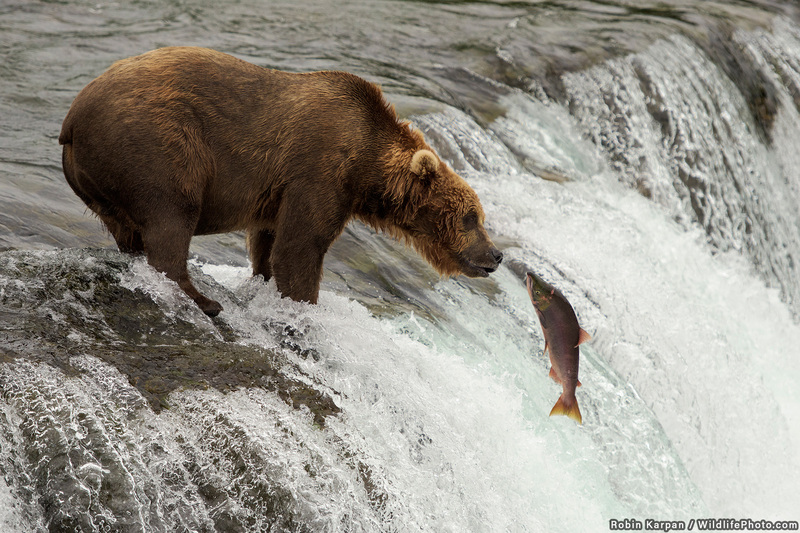 An Alaskan Brown Bear tries to catch a salmon on the Brooks River, Katmai National Park, Alaska, USA. 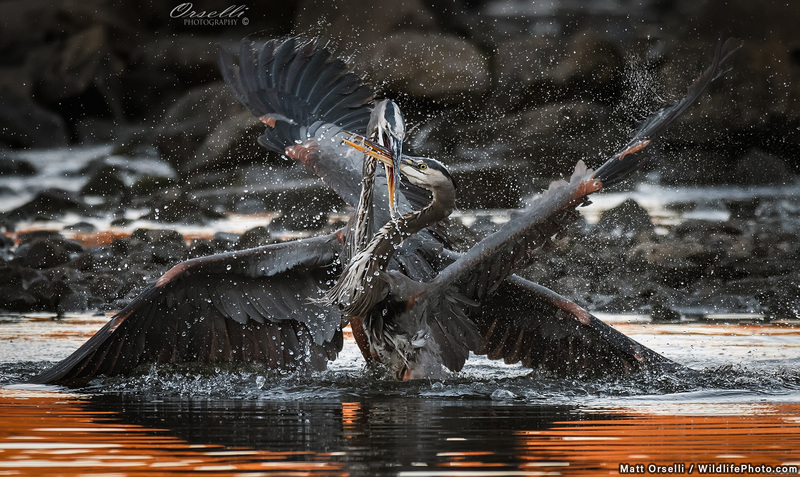 This was a near dusk heron fight, one stood its ground and the intense fighting lasted 15-20 seconds. 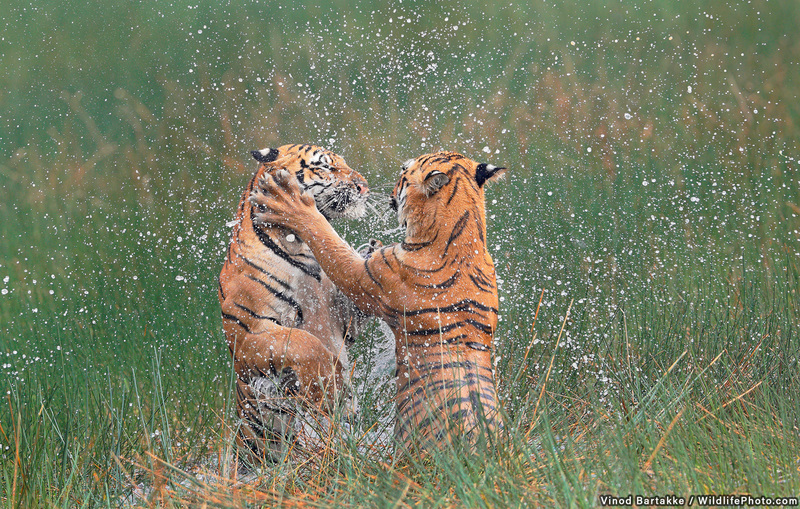 They were trying to drown each other and one of them impaled the other through the neck. One heron ended up flying off, but the impaled one kind of staggered off, I am not sure if the injury was life threating or not, but the heron did have blood on its beak from the incident. The water reflection was the last bit of sun lighting up the late autumn trees. The orange / red reflection adds to the ambiance of blood in the water, theme. 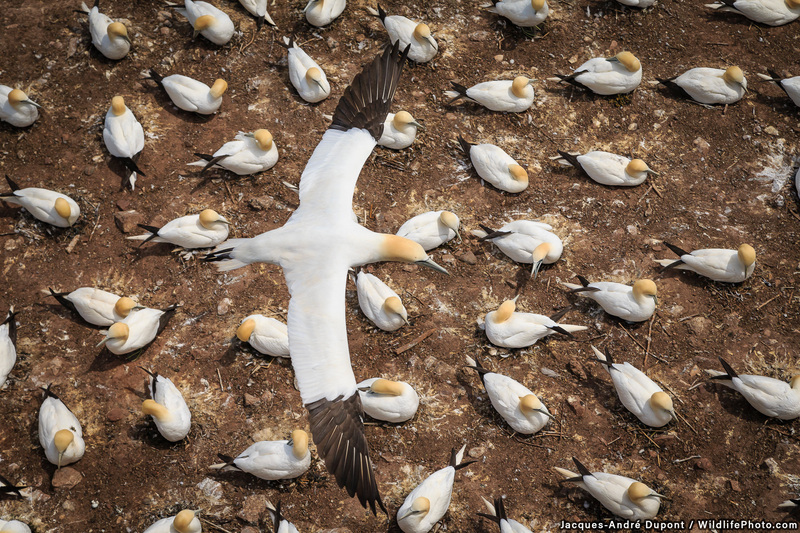 As they come back to the nest, Northern Gannets need to fly several times over the perfectly aligned thousands of nests of the colony, in order to figure out where its mate is located.